This tasty recipe post is sponsored by the National Pork Board, the National Pork Producers Council, & the Minnesota Pork Board. As always, all opinions & thoughts expressed below are 100% my own. Happy Friday, friends! I would like to take this moment to introduce you all to one of my new favorite things- Banh Mi! :) Not familiar? No worries. You certainly will be by the end of today's recipe post. I hadn't actually tried Bahn Mi myself until last month when I attended the Pass the Pork tour in Minneapolis & found myself in charge of mixing up the Bahn Mi Pork Burgers recipe that my team was assigned to during our group cooking class. I had definitely heard of Banh Mi before, but I had not actually tried it until we had cooked up those flavorful and juicy burgers. And guess what, folks? I am now 100% hooked! Season the pork roast with salt & pepper on both sides. Heat 1 tbsp olive oil over medium-high heat. When the oil is hot, brown the pork roast- about 2-3 minutes per side. Spray a 6 quart slow cooker with cooking spray. 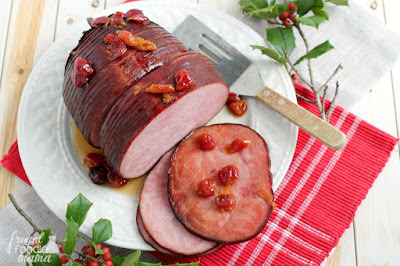 Place the browned pork roast in it. In a small mixing bowl, whisk together the minced shallot, garlic, chile, & grated ginger with the fish sauce, Sambal, soy sauce, & rice wine vinegar. Pour over top of the pork roast. Cook on Low for 5-6 hours. 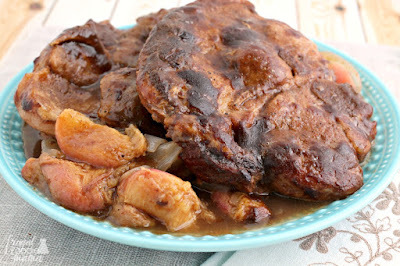 During the last 30 minutes of cooking, remove the pork roast from the slow cooker & shred on a cutting board. 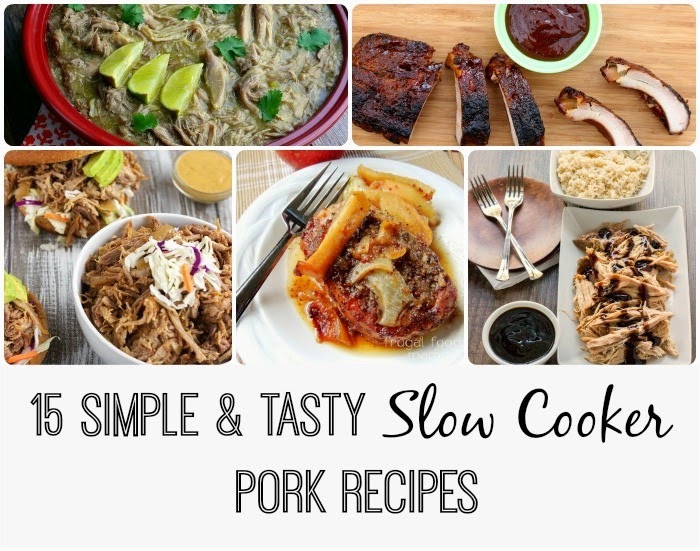 Return to the slow cooker for the remainder of the cooking time. 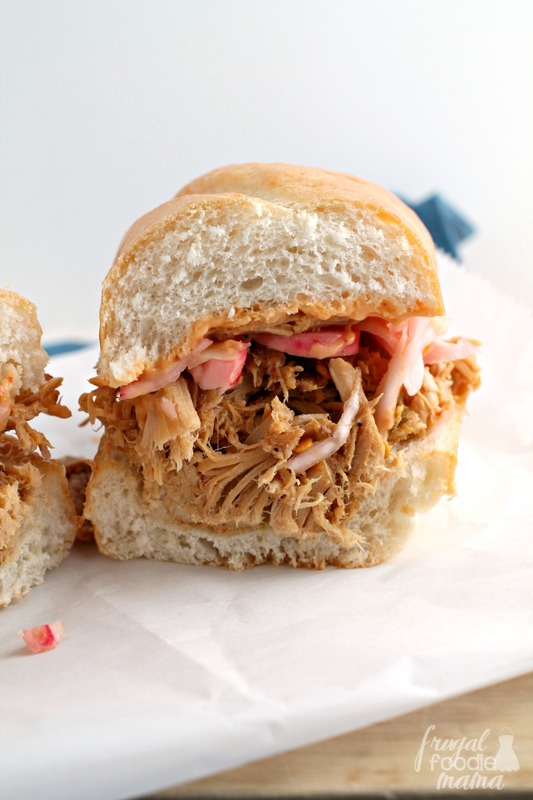 Make this while the pork is slow cooking. Bring the water, vinegar, sugar, & salt to a boil in a medium sauce pan. Place the coleslaw mix, radish slices, & red onion in a bowl. Pour the boiling mixture over top and give a quick stir. Allow the mixture to cool to room temperature, then cover & refrigerate until ready to serve. Combine the mayonnaise & sriracha sauce in a small bowl & mix well. Cover & refrigerate until ready to serve. Toast the sandwich buns by brushing oil olive on the cut side of each bun and then heating over medium heat in a cast iron skillet or grill pan until golden and toasted. Serve the Banh Mi pork on the toasted sandwich buns with a little (or a lot- depending on your heat preference) of the sriracha mayo and a heaping pile of the pickled slaw. 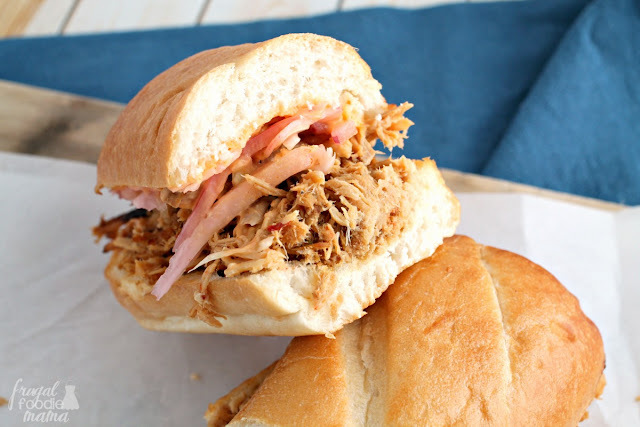 There is SO much flavor packed into these sandwiches! The pork roast is slow cooked all day in garlic, roasted chiles, fresh ginger, fish sauce, & chili paste until it is fork tender. 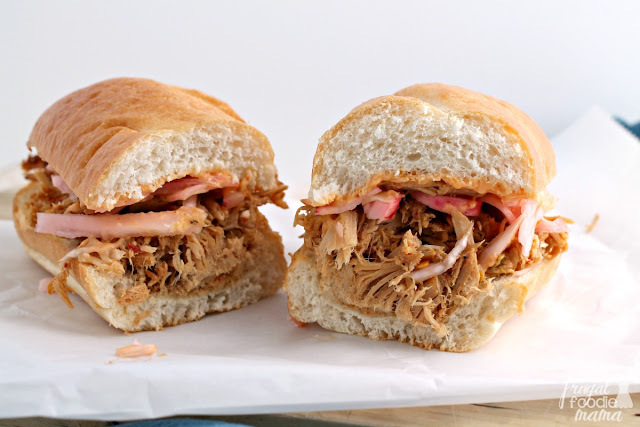 Then you pile that juicy, flavorful shredded pork onto toasted buns, top it with a little of the pickled slaw, and finish it off with a smear of the sriracha mayo, and boom! A flavor explosion. 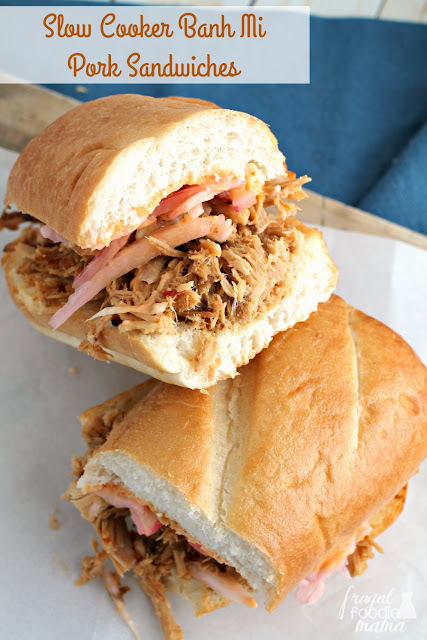 This sandwich does have a little kick of heat to it, but you can easily dial that back a bit by not including the seeds from serrano chile with the pork roast and using plain mayo instead of the sriracha mayo. Have you had Banh Mi before? 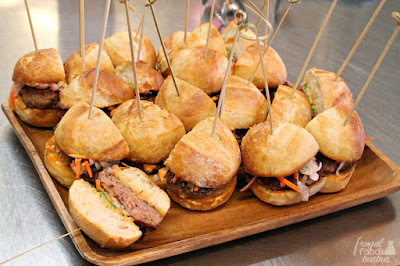 The Banh Mi Pork Burgers that inspired today's recipe.